stop what you’re doing and call us immediately! 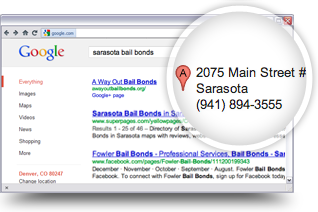 We submit your business to Google, Yahoo, Bing, and many top-ranking local directories and web sites. These sites drive clients to your business and provide the necessary citations your business needs to rank well locally. Your local project starts with optimizing your local profiles. To maintain rankings, we continually include your data in a feed that populates the most visible online directories. As a business owner, there are certain things that only you can do to improve your local rankings. Local optimization strategies continue to evolve and we stay up-to-date to improve your local visibility. Custom SEO quotes are available upon request and are often the best option if you are in a highly competitive location. For many of our clients our Hyperlocalization strategy is very effective.